The company further clarified that this announcement does not constitute a recommendation to shareholders or potential investors. "The binding agreement to acquire five of Apotex's European businesses, including infrastructure, personnel, products, certainly established trademarks, marketing authorizations, and dossier license rights in Poland, the Czech Republic, the Netherlands (including the manufacturing facility in Leiden), Spain and Belgium was announced on July 14, 2018," the company said in a press note to the exchanges on Monday. Jefferies International Limited acted as sole financial advisor and Herbert Smith Freehills LLP acted as legal counsel to Aurobindo. Ernst & Young, India provided financial due diligence services, the company added. 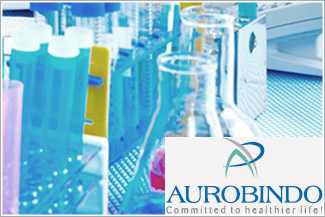 Aurobindo Pharma Ltd's share price is currently at Rs764.75, up by Rs4.1 or 0.54%, from its previous close of Rs760.65 on the BSE. The scrip opened at Rs764 and has touched a high and low of Rs770.35 and Rs761, respectively. So far, 2,97,553 (NSE+BSE) shares have been traded on the counter. The current market cap of the company is Rs44,567.06cr.